Break-ins, fires, floods; life can be completely unpredictable and can throw you a curve ball when you’re least expecting it. Prepare yourself for anything with the security of a water and fire resistant Sentry Safe SFW205UPC model safe with an Electronic Alarm. Highly recognized in the safety and security industry, this safe will give you the peace of mind when storing your valuables, or important business documents. This updated SFW205UPC design includes an easy to operate and program electronic keypad. No need to worry about fiddling with turning any dials to hit the right combination. Simply punch in your security code, and your safe will unlock. The built-in electronic alarm will sound with any attempts at unauthorized access. Disarm the alarm quickly by entering your code into the keypad. According to the National Fire Protection Association, a fire department in the United States responds to a fire every 19 seconds. And, when a business is affected by fire and loses operating records, a staggering 30% of them will be forced to permanently shut their doors. This devastating and unexpected event is one of the most paramount reasons to protect your valuables and irreplaceable documents with a fire-proof Sentry Safe. Water damage is increasingly a more common problem throughout the United States. With extreme weather phenomenon becoming a more frequent occurrence. Flooding, heavy rains, and storms are happening all the time, and sometimes without notice. Your home has a 26% chance of incurring flood damage over a 30 year span. According to stats from the National Flood Insurance Program. The Sentry Safe SFW205UPC model is UL classified for one-hour fire endurance. Meaning that whatever you place inside of your safe is protected for at least one hour at 1700°F (927°C). It is also ETL verified to withstand sitting in up to 8″ of water for 24 hours. ETL certification is proof that this safe has been independently tested. Meeting the published standards. One drawback to this Sentry Safe model is its lighter weight. At just 134 lbs, it is actually possible for the safe to be lifted and removed. To prevent this, you’ll be provided with security bolts to easily fasten your safe right to the floor of your home or business. You’ll also need to be aware that the water and air tight features of this safe means that you will want to avoid storing certain things in it, such as watches and pearls. Unless you put a desiccant packet in it also to absorb moisture in the air. Desiccant packs will need to be replaced periodically to maintain the dryness inside the safe. This high quality, pry-resistant safe can be an invaluable addition to your home or business. The protection and peace of mind you’ll be getting with this safe is priceless. You’ll also get free shipping when you order. Overall, the Sentry Safe SFW205UPC model is a secure product. Well worth the low price for the high value it provides and the peace of mind it will give you. Fire resistant, waterproof and difficult for unauthorized entry. 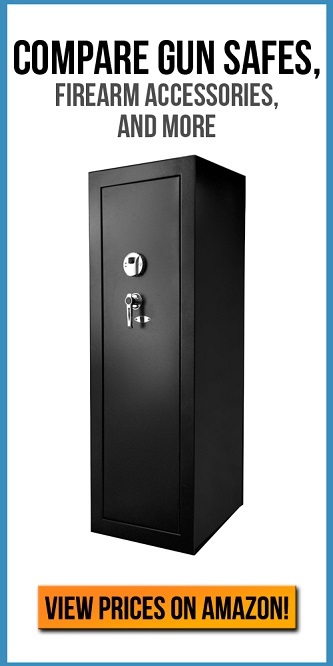 This safe is a great investment to protect your valuables at home and/or your business.